The Chrysler Museum of Art in Norfolk, Virginia, will officially take the wraps off its brand new Glass Studio tomorrow, Wednesday, November 2nd. The new facility boasts a 7,000 square foot studio complete with a hot shop, flameworking station, nine annealing ovens, a cold-working area, and a furnace capable of melting 560 pounds of glass. The facility will host artist residencies and museum patrons will be able to enjoy free glassblowing demonstrations, all part of an effort to make the museum’s extensive glass holdings come alive and offer educational opportunities for the area. To that end, a series of classes and workshops for students and adults ranging from beginner to master level classes for accomplished professional artists will be a regular feature. The impetus for building this grew out of the Chrysler’s large holdings of historic and contemporary glass artworks. At 10,000 objects, glass comprises roughly a third of all holdings at the Chrysler Museum of Art, a fact that can be attributed to the gift of Norfolk resident, Florence Smith, who donated her collection of New England Glass Company antiques in the 1950s. Walter P. Chrysler, Jr.‘s donated more than 8,000 works of glass in 1971, and a steady stream of smaller but significant gifts of English cameo, 20th-century Italian, and contemporary glass have made the Chrysler’s collection one of the most extensive in the U.S. Overseen by curator of glass Kelly Conway, the collection benefited from the two “Art of Glass” festivals that brought together all of the area’s museum collections of glass to create a blockbuster event in 1999 and 2009. 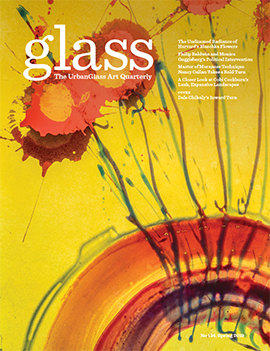 In fact, it was shortly after their 2009 exhibit “Art of Glass 2,” where a mobile hot shop gave viewers a glimpse of what glass blowing entails, that a Chrysler donor queried the museum about the possibility of offering glass demonstrations and workshops on a more regular basis. Former director of education and public programs for the Chrysler Museum of Art and project manager for the Chrysler Glass Studio, Scott Howe says, “It’s that public component that was one of the most important reasons why the Chrysler Glass Studio was built.” Currently serving as associate director of UrbanGlass, Howe, along with a team of artists, was charged with writing the proposal for the current glass working studio. His idea was to use the studio as a center for learning and inspiration and to make the glass collection at Chrysler come alive. For insight into the process of building a glass studio, Howe and his team turned to the Toledo Museum of Art. In 2006 the TMA opened it’s Glass Pavilion, which combines it’s 5,000 glass artworks with a working glass studio. They met with studio manager, Jeff Mack, and assistant manager Steve Cothern, to discuss everything from equipment systems to programs and workshops. While the TMA proved to be a great source of inspiration and information for the Chrysler Glass Studio team, there were some differences in the way the studio would be built. Unlike the TMA, the Chrysler Museum would not have to build it’s glass studio from the ground up. In attempts to build a campus, The CMA had previously purchased an old bank branch from the 1970’s that sits across the street from the museum and adjacent to its parking lot. Howe brought in H&A Architects and Engineers and Eddie Bernard and his team of glass studio building experts at Wet Dog Glass to design and build the $7.5 million studio. He still remembers the day when the glass studio’s floor plan finally came together. The glass studio team was sitting around a table in the center of the unheated former bank building shell on a cold day in February contemplating the layout for the studio. Light filtered in through the bank’s large triangular skylight like a spotlight on a stage. The group decided the whole hot shop panel, 3 glory holes, 3 benches, and a furnace, would be laid out beneath the skylight. This naturally lit stage will be home to all manner of demonstrations and performances. Charlotte Potter, the studio manager, says the performance aspect of the Chrylser Glass studio, is really what differentiates it from other studios. “One of my goals is for artists who are working in new media to come here and perform,” says Potter. Potter is no stranger to theatrics. In 2008 she co-founded the Cirque de Verre, a traveling troupe that combines glass making with circus inspired comedy. Cirque de Verre has appeared at many notable institutions, including the Corning Museum of Glass and the Toledo Museum of Art. Potter’s focus on performance in glass making harkens back to her philosophy of process over product. She says she’s more interested in helping artists and visitors to develop their artistic ideas about glass than she is in crafting an actual object. To this end the studio at Chrysler will not be selling any of the vessels created during its daily demonstrations in the gift shop. Instead, the studio will recycle all clear glass works in the furnace. All colored glass works will be donated to a local recycling plant where it will be used in aggregate for street paving projects. “The streets will literally be paved with glass,” says Potter. To kick off the opening of the Chrysler Glass Studio, Potter will experiment with Prince Rupert’s Drop, a tadpole looking object created by dropping molten glass into cool water. The outer glass cools abruptly causing it to compress, whereas the glass inside the head of the tadpole takes longer to cool causing tension inside the bulb. This interesting reaction allows the bulb to withstand a hammer’s blow. However, if the tail is fractured the bulb will explode into dust. Potter will create colorful Prince Rupert’s Drops in a large glass tank, so viewers can see how they’re formed, and then disintegrate them into stencils laid out on the floor, creating mosaic. Demonstrations will continue through to the weekend. Be on the look out for a ticketed performance by the hipster glass performance troupe Burnt Asphalt Family on Saturday night at 8 PM. For full details on demonstrations and class schedules, visit chrysler.org or call (757) 664-6200. 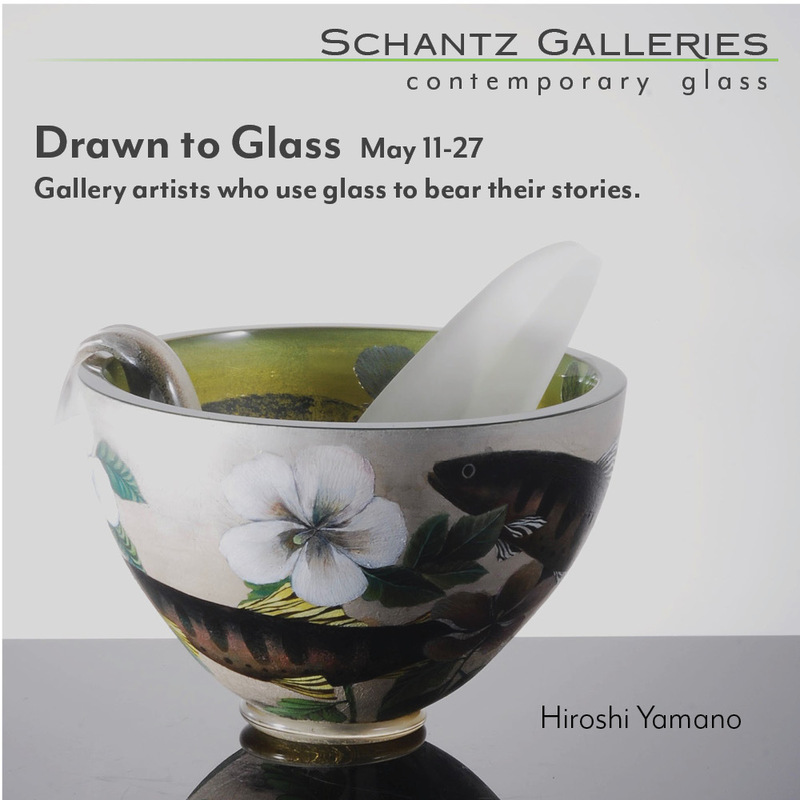 From November 2nd through the 6th, a number of events are scheduled to kick off the new glass studio. Among the highlights are Charlotte Potter’s performance (Nov. 2 at 7 PM), Christopher McElroy’s flameworking event (Nov 3rd at 2 PM), Skitch Manion’s lighthouse build (Nov 4th at 11 AM), Leo Tecosky’s demo (Nov 4th at 4 PM), The Burnt Asphalt Family’s food experiment(Nov 5th at 8 PM — tickets $25), and Ben Wright’s conceptual art piece (Nov 6th at 4 PM). All events are free to the public unless otherwise noted.